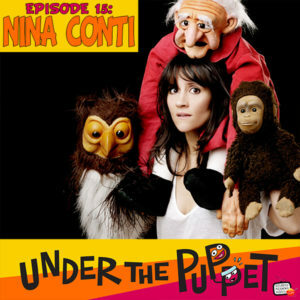 http://www.UnderThePuppet.com – This episode I speak with ventriloquist Nina Conti. She was in HBO’s Family Tree and the Christopher Guest film For Your Consideration alongside her character Monkey. She’s also performed her award winning shows to sold out crowds around the world. In this interview I talk to Nina about her start in ventriloquism, how she developed her character Monkey, her thoughts on improvisation during her shows and more. After the interview I talk a little more about improvisation and where you can look for improv classes in your area.